TOPNEWSPRESS RELEASE#targetsoftheworld: Join our call for these attacks to end. Because if the care providers are fighting, it is to save lives. #targetsoftheworld: Join our call for these attacks to end. MdM and its partners became targets on fields of humanitarian aid. To denounce this downward spiral, we decided to distort our logo to show what we do not want to become: “Targets of the World”. 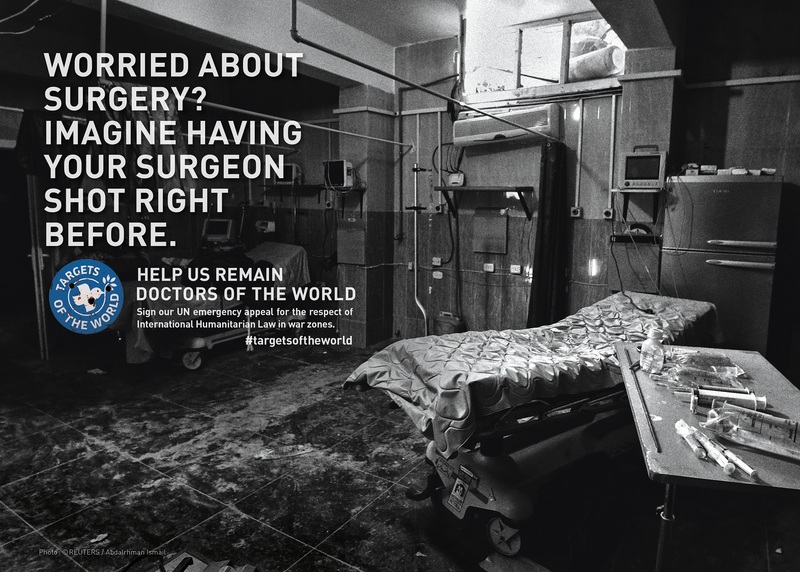 The public is invited to help us stay Médecins du Monde by signing an online petition on the website targetsoftheworld.org. 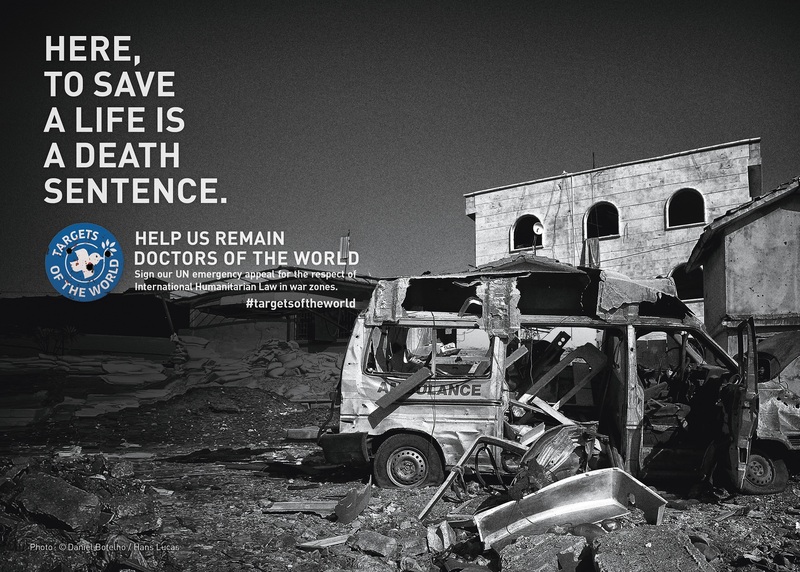 Through a campaign called “Targets of the World”, we, Doctors of the World – Médecins du Monde (MdM), make an urgent call to the member states of the United Nations to protect the care providers, the wounded people and the civilians in conflict areas and to respect the international humanitarian law (IHL). Syria: 6 years of conflict, 465,000 deaths and more than 338 reported attacks against health facilities in 2016 alone. A sad record. Yemen: 3 years of conflict and more than 10,000 deaths, mostly civilians because of indiscriminate bombings. Because care providers must remain care providers. 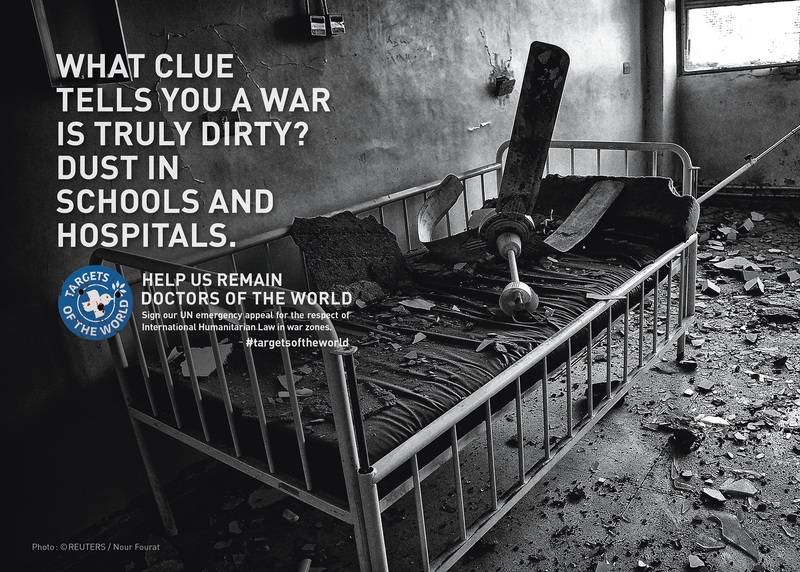 “They must be spared from conflicts, healthcare facilities must be protected and in no instance deliberately targeted. Today, humanitarian law is not at all respected: giving care should not be considered as an act of war” regrets doctor Françoise Sivignon, President of MdM. 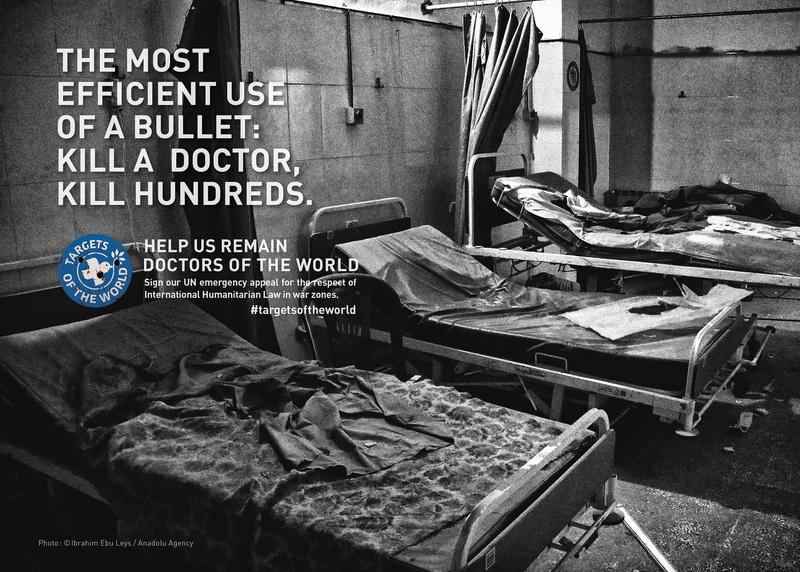 On May 3rd 2016, the United Nations Security Council adopted a resolution which strongly condemns acts of violence, attacks and threats targeting the wounded and the patients, the care providers and the humanitarian staff members, as well as the medical facilities. More than one year later, nothing has changed. Empty promises succeed each other. The international community does not fulfil its commitments. On last June 15th, the Security Council has reminded all stakeholders in the conflict about the obligation to respect the IHL and about the priority to protect medical facilities and staff members in Yemen. “We welcome this statement, which must not stay only words. We are now demanding a fast implementation of these recommendations” concludes Françoise Sivignon.